Hard to find and obsolete Leslie connectors and plugs. 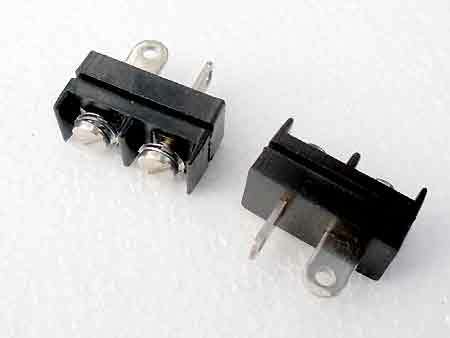 These round connectors are heavy duty good old quality components used in conjunction with Leslie speaker connections, Leslie connectors on organs and Leslies, organ amplifiers and in some vintage tube Hi-Fi gear, such as McIntosh, Dynaco, LEAK and Others. The femal connectors with 8 pins are equal to an octal tube socket All connectors listed here are simmilar in size and form factor to an octal tube socket. Avaialbe are: sockets, male plugs and with hood, female jack plugs with ot without covers. Universal Metal covers sometimes also named hoods, and mounting rings that allow secure chasis mounting of any female or male connector, that is not indicated as "chasis mount". All avaialble items are pulls from vintage equipment, used in good condition, and are one of a kind vintage items. Plese order only avaialable quantities (indicated in YELOW (! ), as I do not have more items each than indicated. RED indicates ne witem - no picture yet! 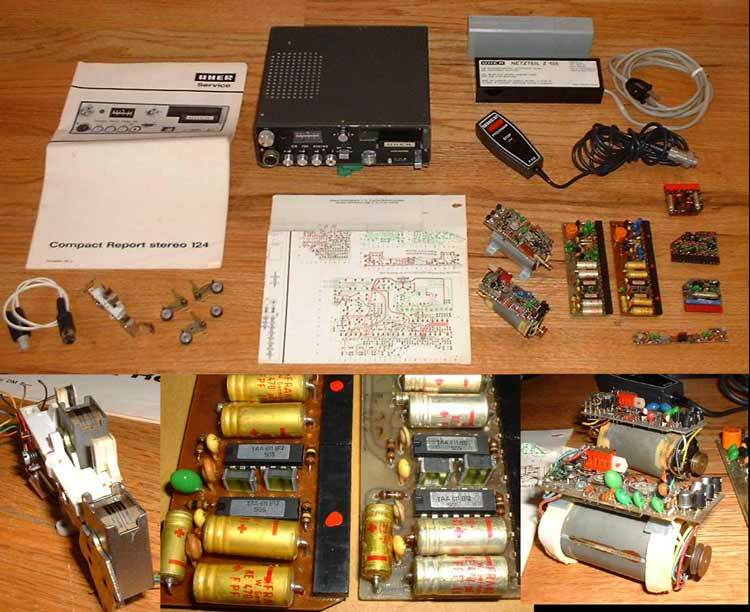 4 Pin <NOT SHOWN!> - used for equipment internal connections, might have been used for very early Leslies / Passive Tone Cabinets. 5 Pin - used for Hammond organs such as B3, A-100 and many others!. 7 Pin - used for an in vintage equipment. 9 Pin - used for some Leslie connectors. 11 Pin - used for some Leslie connectors. 12 Pin - used for specialty Leslies and spcialty applications. *2 = amount of cables in stock - maximum amount that can be ordered - payment for unavailable items will be refunded. Please order only avaialable quantities! <NOT SHOWN!> 4 Pin connector socket - female - chassis mountable (2 screw holes), used atequipment chasis to connect a cable or a s socket for 4 pring tubes. <NOT SHOWN!> 5 Pin Leslie connector plug female with cover, plug into Lesslie connector on Leslie to connect the Leslie. cables. Perfect to make cables! <NOT SHOWN!> 5 Pin Leslie connector plug - with cover, plug into Lesslie connector on organ to connect the Leslie. cables. Perfect to make cables. 6 Pin, female w/ cover <NOT SHOWN! - see 5 pin> 6 Pin female connector with metal cover (but no strain relieff) - ideal for cables. <NOT SHOWN!> 6 Pin female connector with metal cover and strain relieff - ideal for cables. The 3 I have left have a crack - still may work, but may not be fully safe. AS IS - price reduced! 6 Pin, male plug w/ cover 6 Pin male connector with metal cover - ideal for cables. 0 SOLD OUT! -> ORDER PLUGS AND COVERS SEPARATELY! 7 Pin, female w/ cover 7 Pin female connector with metal cover - ideal for cables. 7 Pin, male plug w/ cover 7 Pin male plug with metal cover - ideal for cables. 7 Pin, male plug, NO cover 7 Pin male plug , chassis mountable with ring, connections to modules, etc. - NO COVER. <NOT , SHOWN!> 8 Pin connector female - chassis - equal to an octal tube socket, can supply mounting ring (below), if planning to mount in a chassis, or get a metal cover separately (below). 8 Pin, male plug w/ metal cover + strain relieff 8 Pin male octal plug with metal cover + strain relieff - ideal for cables - will connect with standard octal 6L6 type tube sockets. 8 Pin, male plug w/ metal cover 8 Pin male octal plug with metal cover (no strain relieff) - ideal for cables - will connect with standard octal 6L6 type tube sockets. 8 Pin, male plug w/ plastic cover <NOT , SHOWN!> 8 Pin male octal plug with platic cover - ideal for light duty cables or adapters - will connect with standard octal 6L6 type tube sockets. 8 Pin, male plug, NO cover 8 Pin male plug for cable connections to modules - NO COVER. 8 Pin, male plug, NO cover 8 Pin male plug for cable - NO COVER - misses 1 pin for keyed connections - CHEAP! 9 Pin, male plug w/ cover 9 Pin male plug with metal cover and strain relieff - ideal for cables. 0 $15.00 SOLD OUT! -> ORDER PLUGS AND COVERS SEPARATELY! 9 Pin, male plug, NO cover 9 Pin male plug for cable connections to modules - NO COVER. 11 Pin, male plug w/ cover + strain relieff 11 Pin male plug with metal cover and strain relieff - ideal for cables. 11 Pin, male plug w/ cover 11 Pin male plug with metal cover (no strain relieff) - ideal for cables. 11 Pin, male plug, NO cover 11 Pin male plug for cable connections to modules - NO COVER. 12 Pin, male plug, NO cover 12 Pin male plug for cable connections to modules - NO COVER. For special purpose Leslie models. Turn any plug or connector into a complete part to make cables. 1 of the 3 is rusty. good ones will ship first. A 7 Pin plug that fits into any 7 Pin miniature tube socket, such as used for 6AU6, etc. tubes. Plug has removable cover. Custom make tube replacements, extender test sockets, etc. A 9 Pin plug that fits into any 9 Pin miniature tube socket, such as used for 12AX7 tubes. Plug has removable rubber cover. *3 = please order carefully: All items are one of a kind vintage items and can be only shipped in quantities on hand - indicated qunatities may be out of date - payment for unavailable items will be refunded promptly. Restocking fees of 20% apply for all "wrong item ordered" processing (It takes a lot of time to pack and drive up to the post office, wait in line and ship - please order carefully!. *4) = 2 more 11 Pin plugs available with cover - however: one pin was clipped out there are only 10 working pins - inquire for which pin number. 5-Pin to 1/4" w/ level control! Did you ever wish your Hammond Console Organ had a regular 1/4" line output? Or you simply could plug a Motion Sound speaker or other amplifier directly to your organ, or to extend your Leslie? Or to add an effect in line with the organ signal? Did you ever wish you could connect your Hammond directly to your mixing board, another amplifier, or the band PA? HERE IS THE SOLUTION!  5 Pin male jack, for direct pluging into Hammond A, B, C and Leslie extension outputs.  One piece adapter - extremely simple to use, but versitile like a swiss army knife. A must for any travelling or performing B3 organist! 6 or Pin Pin Leslie / Ton eCabinet Connectors on organs, Leslies or toen cabinets. Adapters are $12 for priority mail shipping within the USA, insured. The shopping cart will bill you $25 for shipping, which I cannot change. In order to make things less complicated, I have reduced the price for the item for check out accordingly, so that the total will come out to the same amount. If needing billing to be exact, please DO NOT USE the shoopping cart, but  e-mail me  instead. Hard to find and obsolete power chords. These power cables are from various vintage Japanese and Amaerican made Audio equipment and other equipment. 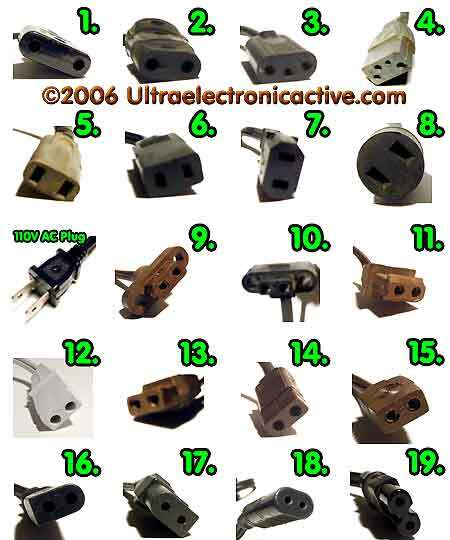 All of these cables have female ends as shown in the pictures and an American 117V AC Plug simmilar to the item shown in position left of #9. Pictures NOT TO SCALE! - see pin spacing dimensions below. *1 = measured in millimeters or inches: center of pin to center of adjacent pin. #11 rectangular shape, 2 round pins 5/16"; pin diameter: aprox: 1/16"
Price: $17.00 Condition: Used, good. Get it while still available. I only have 1 of these! These are New Old Stock original Pioneer Speaker plugs. I have 4 NOS, @ $35 ea. (or 2 for $60). And one, used one for $25. The Shopping cart will over bill shipping cost. Shipping is $5.50 standard, or $7.00 Priority mail (International $15). Please indicate which. I will refund the over payment. Or: use "inquire" below instead to purchase! 1 Pioneer Speaker Plug, used. Price: $25.00 Condition: Used, good. Get it while still available. I only have 1 of these! 1 Pioneer Speaker Plug, NOS. Price: $35.00 Condition: New Old Stock. Get it while still available. I only have 4 of these! Price: $60.00 Condition: New Old Stock. Get it while still available. I only have 2 pairs total of these! European Headphone Plug - Würfel Plug. 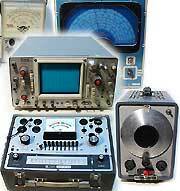 Works witht all UHER EQUIPMENT and other German brands of Audio Equipment. Imported from Germany. New. $12.00 ea. Vintage Computer SCSI cables here!